When designing packaging for your product, you want to make sure that it stands out from the competition. Most similar products will have the same general packaging shape and size, with the main differences being colors and patterns. To increase your sales, you need your product to be eye-catching, which requires some creativity. Instead of sticking to a plain box or plastic container, try one of these creative packaging ideas, and you will notice a boost to your sales. If there is a special event coming up, consider doing something to incorporate it into your packaging. While most companies will do this around major holidays, such as Easter, Halloween, and Christmas, you can get creative with any holiday that your target customer may celebrate or even be interested in learning more about. Corona got creative with packaging for the traditional Mexican holiday of Day of the Dead and saw a boost in its sales. All products fit into a particular industry or have a general theme. Headphones, for example, are generally used to listen to music. Note chose to take advantage of this in a creative way. Instead of just wrapping its headphones in a boring package, Note wrapped them up in the shape of a music note to show what they do and stand out from similar products. Similar to following the theme of your product, you can get creative by making your package resemble an item related to your product. Thelma’s, for example, sold cookies inside a cardboard box designed to look like an oven. Similarly, Mighty Nuts made the lid of its packaging for pistachios open up like a nutcracker. If you worked hard to come up with a creative name for your company or product, take advantage of it in your packaging design. Some Nike Air shoes, for example, were packaged in enclosed bubbles of air. Another example is TeaPee herbal teas, which packages its teas in the shape of a teepee. 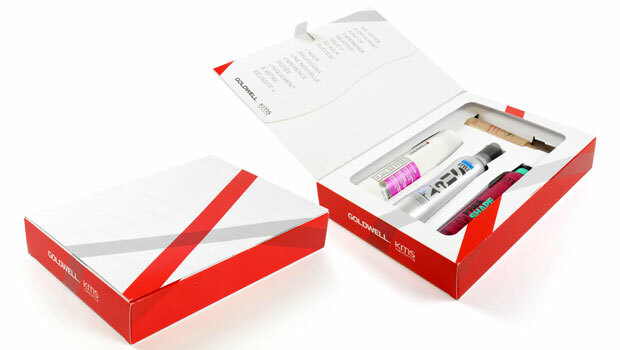 A great way to draw people in to view your product is to use the product itself to create an image with the packaging. A classic example of this is Poilu paintbrushes; each paintbrush comes in a hanging cardboard container with a face so the bristles act as a beard. Similarly, Barra de Flama packaged its individual pieces of bread in such a way that the bread sticking out of the bag appeared to be the hat of the gnome on the bag. It is common to include a picture of the product on the exterior of the packaging or to have a cutout. An alternative is to simply let the product serve as inspiration for the exterior of the container. An example is juice boxes where the exterior of the container is designed to mimic the exterior of the fruit within the juice.